If you had $100 in 1950, you’d be holding over $1,000 today. So it’s true what they say, $100 dollars doesn’t go as far as it used to. This depressing fact combined with the the dreaded Fear of Missing Out (FOMO) means that purchasing a new shaver is a daunting task. You want the best, but sometimes you can’t spend what you think it’ll cost to have the best. 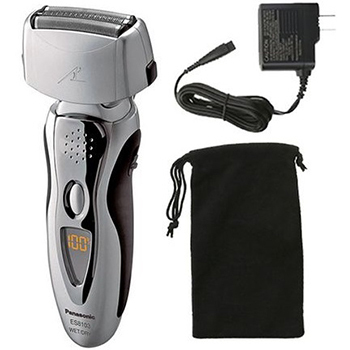 With electric razors, the fully featured high end models are not cheap. They cost much more than $100. Well, what if I said you need not spend tons of cash to own a great shaver? And there isn’t just one shaver; you have options, as if you had two or three times as much money. Check out my list of the best electric shaver under $100 below. Is $100 Enough Money for an Advanced Shaver? 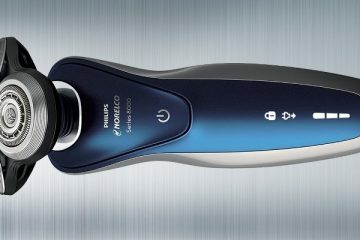 Our first shaver comes from consumer electronics powerhouse Philips Norelco, one of the top three shaver brands on the market. Although the 4500 is a mid-range product, it still delivers a wealth of options. Their signature Aquatec technology has been improved in recent years. The device is entirely waterproof, so you can shave in the shower and save time. Unlike foil shavers that have six or more blades, the number of rotary blades begins and ends at three. For the savvy consumer on a budget, this is great news. You can count on a shave comparable to the top rotary models because it’s the same system. Because the 4500 is a wet/dry shaver, you have several ways to use it. Dry skin shave, wet skin shave, or you can lather on your favorite shaving gel for the most lubrication. The 4500 also comes installed with a pop-up trimmer, for detailed sculpting of your sideburns or facial hair. I found the shaving experience with the 4500 satisfying. The 4 direction contouring head moves just enough to cut the harder to reach areas like under my chin and the curve of my jaw. Cleaning the shaver is easy and requires little effort on your part. All you do is press a button on the side and the whole head pops open. What I like about cleaning this Philips Norelco shaver is you don’t fuss with any parts of the device. The head stays connected to the shaver, attached by a hinge. It opens like a hatch and easily snaps back into place when you’re finished. An LED on the front of the device flashes red when you need to replace the rotary head. I like this system. It removes the guesswork, so I can focus my attention towards more important things. The battery life should please any budget conscious consumer. With the installed lithium ion battery, the 50 minutes of charge won’t degrade over the lifespan of the shaver. You can’t plug the device in and use it at the same time. So, if you’re rushing about in the morning and forgot to charge the device the night before, no shave for you. Braun’s Series 3 shaver comes in two models: basic and Proskin 3040. We’re looking at the Proskin, because even at $100 we shouldn’t settle for the bare minimum. Each foil has a specific purpose. The leading foil lifts hair, the middle trimmer-blade directs and cuts longer or stray hairs, and the last foil finishes the job. 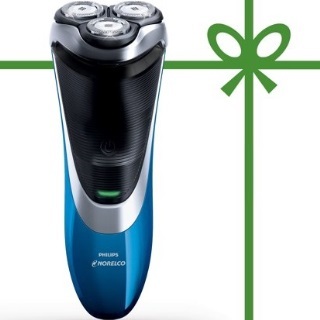 Braun boasts you can shave with up to three days of beard growth, which is impressive. Over the years Braun has perfected the sensitive skin feature of their foils. So no matter how delicate your manly face may be, the Series 3 won’t irritate or leave a mark. For under $100, you can buy a Braun electric razor that manages wet and dry shaving, too. Cleaning is painless, just snap off the shaver head and tap out the accumulated hairs. I’ve used Braun shavers off and on since I started shaving, far too many years ago to count. What I like about the Series 3 is that, wet or dry, it shaves with no irritation or pulling. Even when the blades go dull after 18 months, the foil and blade system refuse to tug your hairs. Personally, I prefer a sliding, vertical precision trimmer on a shaver. The horizontal pop-up versions work fine, but since they stick out from the middle of the shaver, it blocks my view. 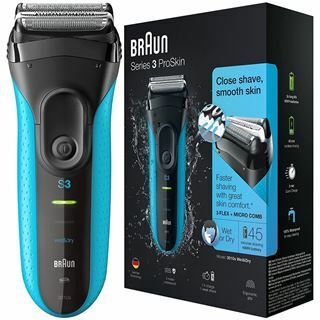 If you need true close-trimming, then consider the Series 3 Braun shaver. 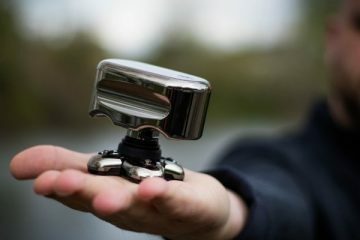 The shaver feels good in my hand; it’s weighty, and the rubber grips come in handy if you shower shave often. A great travel companion, the Series 3 manages voltages from 100 to 240, so you can use it anywhere your business or pleasure takes you. I can’t see anyone buying this shaver complaining about its performance or features. The Braun Series 3 is a well built, reliable shaver. Another shaver that cannot operate while plugged in. But this Braun shaver has a quick charge option. Within five minutes of plugging it in, you’ll have enough charge for one shave. Also, I’d prefer lithium ion over the installed NiMH. Panasonic has upped their electric shaver technology in the last few years, and the ES8103s Arc3 is proof of their desire to win you over. The Arc3 stands alone on the list as the only shaver that tilts and pivots as you shave. The shaver’s design is interesting and unique. The bulky razor head takes up a lot of real estate. But there’s a reason to their madness. Arc technology contours to your face with bowed foils, so more surface area touches your skin at all times. A wet and dry shaver, the Arc3 uses their nanotech blades. The same foil technology you’d find in their higher end models, like the coveted Arc5. The LCD display has a ten-stage charging notification and a cleaning mode timer. Speaking of cleaning, the Arc3’s blades vibrate faster when you switch the device into cleaning mode. As you run the blades under tap water, the faster vibrations knock off more hair. The installed lithium ion battery requires about an hour for a full charge, and it should last you about 45 minutes of run time. Like the Braun shaver, there is a quick charge option if you find yourself with a dead battery and a face in desperate need of shaving. For the price point, I think the Arc3 performs well. The Panasonic Arc line extends to 5 blades, but after using this shaver, I don’t see the point. Sure, you may need to run the shaver head over the same area one or two times more than a five-blade device, but who cares? The Arc3’s result is fantastic: a smooth, irritation free shave. The unique design of Panasonic shavers means you get a device that easily matches your face’s contours. That’s great news for big chin or wide jaw men. You get an effortless shave without extra attention on those hard to reach spots. Another cool feature you won’t find with many $100 electric razors is the cleaning feature. When you remove the shaver head, the blades vibrate faster. It may seem gimmicky, but over time, you’ll replace the blades less than harder to clean shavers, saving you money. It’s a handy, if not bulky, shaver for the under $100 price point. While the Arc3 delivers an impressive shaving experience, the unique design takes getting used to. Also, like other shavers on this list, it cannot be used while plugged in. Here’s a curve ball for you. 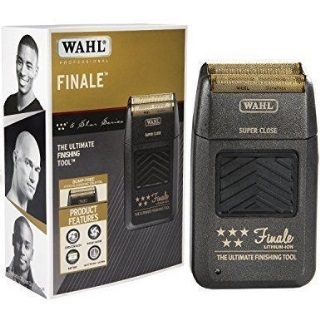 Unlike the other products on this list, the Wahl 5-Star Finale rates as a professional level shaver. But that doesn’t mean it comes with all the fixings. Rather, it does one thing amazingly well at the expense of other options. That is: it shaves just as close as a razor, minus the consumer level ergonomics. A perfect fit for sensitive skin types, the hypoallergenic, gold-plated foils won’t irritate or cause razor bumps. And yes, the shaver is a two-blade foil system. Don’t let that fool you, the beefy motor and strong cutting blades are renown in barber shops nationwide for their power and precision. The lithium ion battery runs for 90 minutes between charges. Unlike every other shaver on this list, you can use Finale while it’s charging. There’s no LCD display, wet shave option, or tilting heads with the Finale. But for under $100, you get a barber shop level product that’s meant to last generations if properly maintained. When you first hold the Finale, you’ll think to yourself, “This is it?” The shaver’s subtle, basic design doesn’t compare to the consumer level products on this list. But when you turn on the shaver, you quickly understand what all the fuss is about. The Finale’s motor vibrates like a barely contained beast under the plain matte black plastic chassis. It’s noisy when cutting hair. But let me tell you, a shaver cannot cut closer than the Finale. I argue it’s the closest shave on the list, but the impressive shave comes at a price, and I’m not talking money. You lose out on a lot of features with the Finale. You can’t use this tool in the shower or with shaving gel. And if you require a pop-up trimmer, look elsewhere. 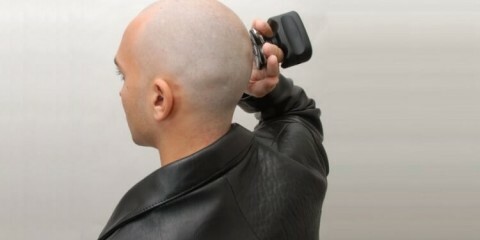 The Wahl shaver head doesn’t tilt or move. Instead, the compact body demands a steady, nimble hand to reach those tricky spots. Cleaning the device is bare bones, and I liked it that way. A button on the side pops off and reveals the large cutting blades. I blew out the cuttings stuck around the foil and brushed away the bits inside the blade. That’s it. No water, no icky shaving cream residue. The Finale shaver needs dry skin; you can’t operate it in the shower. Also, you must use this shaver on two-day stubble at max. If your hair grows longer than that, crop it down with a trimmer. Depending on prices when you purchase your shaver, the 4100 might be a better option over the 4500. The two shavers are similar, and the only obvious difference is that the 4500 comes with a quick charge option. The 4100 features the same fantastic rotating head design. 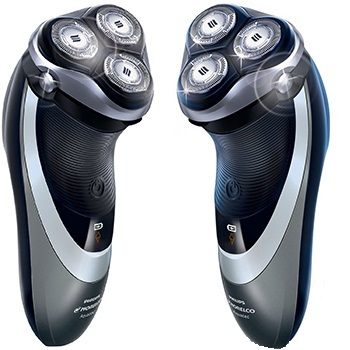 Philips Norelco dubs their system DualPrecision shaving. Each of the three circular blades contains specially designed slots for long and short hair. Like the 4500, the 4100 has a four direction contouring system. It’s not as advanced as their higher end models’ 8, but works well in nearly all situations. You may have to maneuver the shaver a little more is all. A wet/dry shaver, you can bring this with you into the shower if you’re short on time. The 3-stage LCD display shows charging, full charge, and low charge. Installed in this device is a 50 minute run time lithium ion battery that recharges in about an hour. I find the best way to use a rotating head shaver is by moving the shaving head in small circles, sort of like buffing a car or polishing a table. If you operate the shaver in this way, you’ll end up with a great shave every time. The 4100 performs admirably. It’s quiet, and I like the blue and black design more than the 4500. The shaver fits snuggly in my hand and the rubber grips add extra peace of mind when in the shower or using the wet shave option. The ease of cleaning that the Philips Norelco DualPrecison offers is worth mentioning, too. No matter if you’re wet or dry shaving, you can wash out the whiskers with one hand. For the price, you get decent features, a good-looking body, and most importantly, a great shave. No quick charge option or use while corded means you must wait for at least 15 to 25 minutes before you can shave. So don’t let that battery run out on you! Also, while the trimmer works fine, I prefer a vertical trimmer rather than the horizontal one equipped in the 4100. The answer is an enthusiastic YES. As my list proves, you can purchase a fantastic shaver for under $100. Not only that, but you have a wealth of options, depending on your preferences. The best men’s electric shaver under $100 ultimately comes down to what you need from a shaver, not on how much money you have at your disposal. For the closest shave possible, you’ll forfeit the convenience of a trimmer. Or, if you desperately desire a tilting option, you’ll say goodbye to quick charge. Electric razors aren’t simple devices. Every brand tweaks their shavers to satisfy different niches and personal preferences. Think on what you want from a shaver, then choose the device. The simple fact is every shaver on my list is good for certain people. 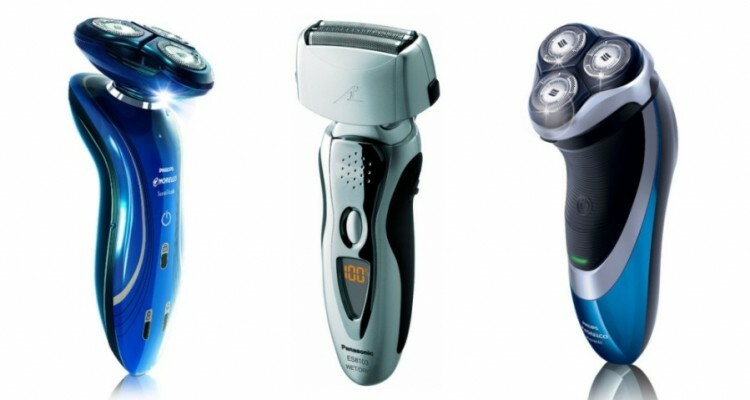 The question isn’t which shaver is the best; it’s which is the best for you. All the items on our list sport an impressive shaving experience. The details of that experience depend on what you need, and sometimes, your face type. For example, do you want the closest possible shave? Or would you trade in some of that precision for a titling head to better shave a strong jaw line? 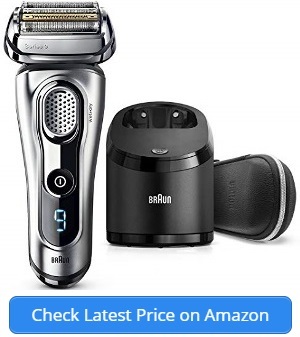 Regardless, you don’t have to worry about missing out on a great shaver, even at this price point. Gone are the days that shavers with both wet and dry options cost as much as a new mattress. We live in the era of convenience and consumer choice. You can bring nearly all the shavers on our list into the shower. Not only that, but they perform equally well as a dry shaver or with shaving cream. The choice isn’t in how much money you have, but your preferred method of shaving. Budget or no budget, you shouldn’t settle for weak battery life. A poor battery won’t show its face until six months after you purchase your shaver, and by then you’re left with few options. Thankfully, the shavers on our list have either a quick charge NiMH battery or lithium ion. Remember, lithium ion batteries won’t lose their charge memory, even after years of charging them from mid-range. Another great money saver for those that prefer a clean and close look is a trimmer. With a built-in trimmer, you need not spend the extra money on a separate device. Often, the trimmers on $100 shavers are the same ones included in the higher end models, too. Not all trimmers are created equal, but you don’t have to worry about it; I made sure to only include shavers with excellent trimmers. More doesn’t always mean better. Sure, at $100 you won’t get four or five foils, nor will your rotary blades have 8 directions of movement. But what you get is more than enough to deliver a fantastic shave. In the Finale’s case, for example, we have two foils. Yet I’d argue it’s the closest shave on the list. Don’t assume that more foils equal a closer shave. What matters involves how you use the device, and how well you take care of it. The last thing you want in the morning is a dead shaver. That’s why every item on the list notifies you when at low charge. Not only that, but full charge, half charge, and a notification for blade replacement are all possible at this price range. When you think of a budget shaver, “cheaply built” is the first thing that enters your mind. Initially, I thought so too. But that’s not the case. Decades of electric razor technology and modification has led manufacturers to building products that last, even budget friendly options. The shavers on my list feel good in your hand. They have heft; they’re easy to clean and maintain. 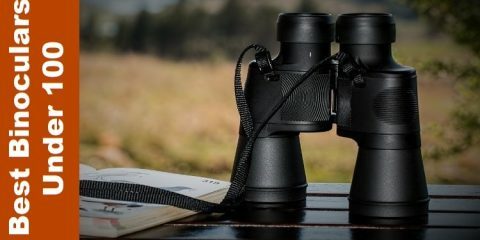 Just keep in mind that even the most well-built product requires your attention to stay that way. As my list proves, there has never been a better time to buy the best electric shaver for under 100. Call it what you will: budget friendly, expense-handicapped, or price deficient. It doesn’t matter. You’re flush with fantastic options. The best part is they all deliver a great shave. Now that you have your next shaver lined up, under budget, and ready to buy, why not tackle another life problem like the savvy consumer you are? Like your ever-growing pile of laundry, or the fridge you haven’t cleaned out in months. Or maybe not… Well, there’s always next week. Till then, at least your face will be smooth and clean thanks to your new $100 shaver.